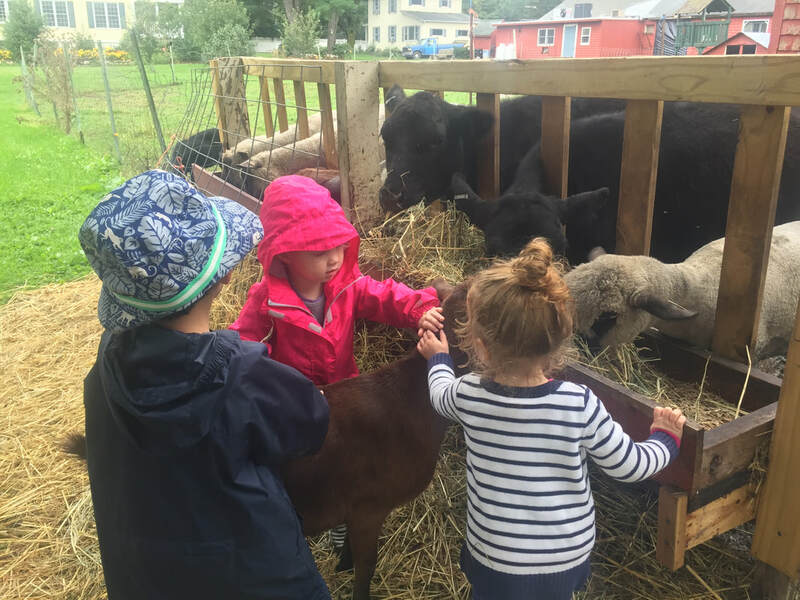 Now enrolling for the Little Farmers Summer Program! Options to sign up day-by-day or for an entire session! Why Farm & Nature-based Learning? “I sincerely believe that for the child, and for the parent seeking to guide him, it is not half so important to know as to feel. If facts are the seeds that later produce knowledge and wisdom, then the emotions and the impressions of the senses are the fertile soil in which the seeds must grow. The years of early childhood are the time to prepare the soil. 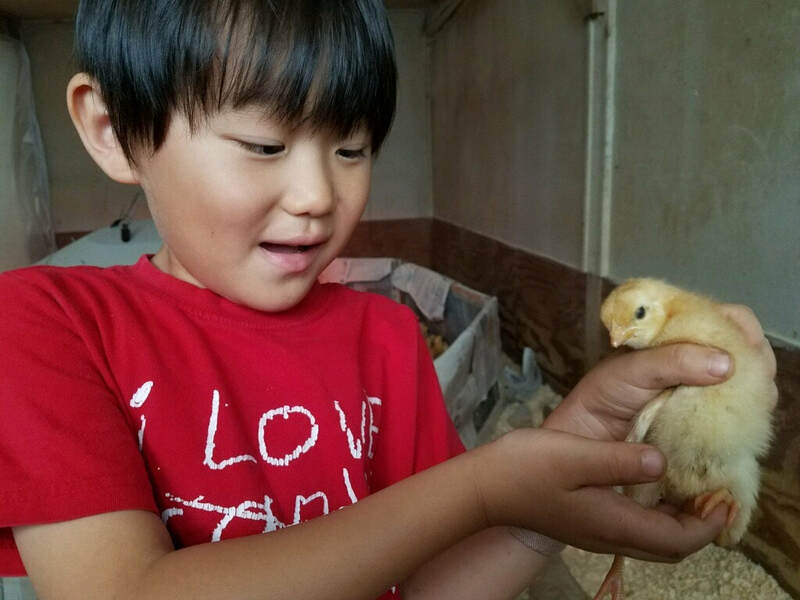 The farm and surrounding nature are a complete sensory experience for children. We often spend time trying to manipulate and build the ideal environment for a child’s early learning, yet that learning environment is already readily available in the outdoors. 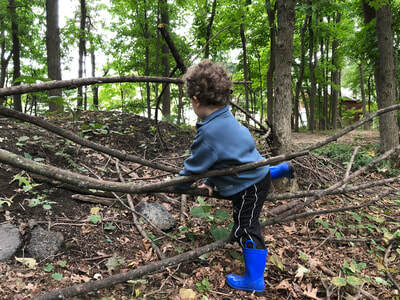 Outdoor play develops creativity, confidence, and realistic risk evaluation while allowing for complete sensory immersion and physical movement. 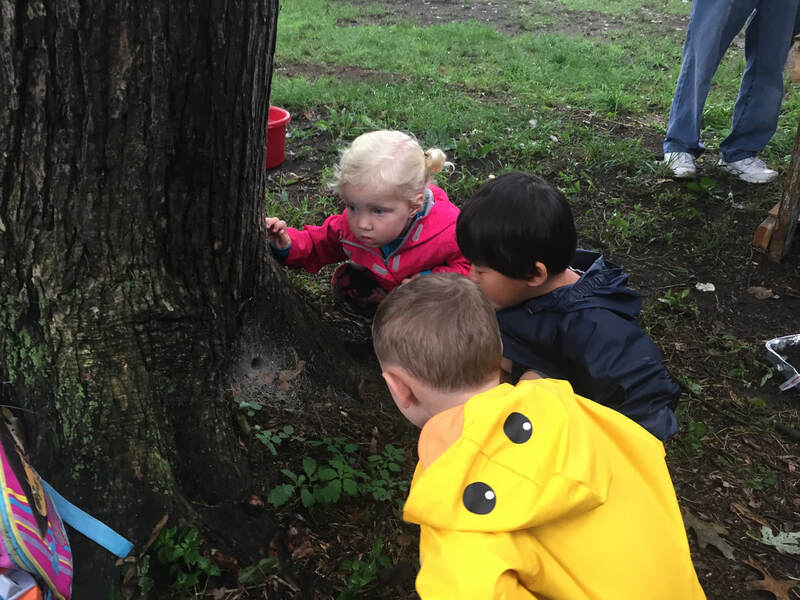 While outdoors we also are able to experience changing seasons and natural rhythms first-hand which helps to build a child’s sense of place in their environment and builds their ability to understand larger scale systems thinking. 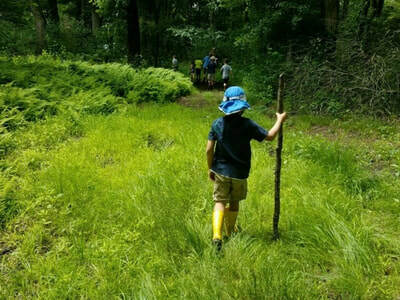 Connection - Children connect to the outdoors, each other, and themselves, building a more connected community. Creativity - Children play more creatively in the outdoors, where objects and materials don’t yet have prescribed uses and meanings. A stick is not just a stick! Confidence - Provides the space and challenges for children to build confidence in their abilities. Cognition - Being outside in nature helps build focus, problem solving and planning skills, and begins to establish a sense of cause and effect. Farm work helps teach the benefit of working for an end goal and planning for a desired outcome. Integrated sensory experience - Learning while moving, learning while doing! Children need a chance to move, to feel, to smell, to taste, to see, and to hear (all at once!) as they learn. Teaches Systems and Cycles - Experience first hand how the world is interconnected, and the changes that take place throughout the day, the season, and each year. As adults, we often have a disconnect from our food and where it comes from. Oftentimes it comes from far away with the nutritious value compromised in order to get to us. Sometimes we don’t understand where it comes from at all, or what it took to get it to us. Allowing our kids to experience a farm and learn through real, hands-on farm work helps to better connect them to their food and understand the importance of healthy farm systems at an early age. An early farm and food connection can set the stage for healthier food choices, leading to better health and learning. The CDC states that healthy eating and exercise can lead to better learning, focus, and memory. On the farm, we work hard to grow good food! Sandy has been connecting kids to Chip-in Farm for over 15 years. She knows that the farm offers a unique full-sensory experience, which makes it the perfect classroom for kids! Sandy has a Massachusetts EEC infant/toddler and preschool certification and has worked as a preschool teacher. Her favorite farm animals are the cows! Julia is excited to be back at Chip-in Farm, a place she absolutely loved visiting as a kid! She is passionate about getting kids outside and connected to the farm, nature, and their community. Julia is completing a certificate in Nature-based Early Childhood Education at Antioch New England. Her favorite farm animals are the goats! Our primary focus is on laying the foundation of connectedness to ourselves, each other, and the outdoors through full-sensory experiences to prepare for later academic learning. ​The farm and nature are our classroom and often act as an additional teacher. The farm and environment have quite a bit to teach us about beneficial risk taking, self-confidence, and cooperation! We observe each child’s interests and shape our learning to the interests of individuals and the group. Children are given time and space for free play each day. Teacher-directed activities are seasonally inspired. We often find that the children's interests and seasonal changes create unexpected and delightful detours along the way! Our most important job is to make space for each child to build a connection to themselves, each other, and the outdoors. And of course to join in on the fun! We will be exploring different methods of documenting your child’s learning throughout each session. We take photographs to share with parents, but we will also be encouraging the children to produce their own documentation through drawings, group artwork, lasting farm projects, and collected quotes. Parents/Caregivers of children in the program will have the option to join our private Facebook group with photos and updates from each day. 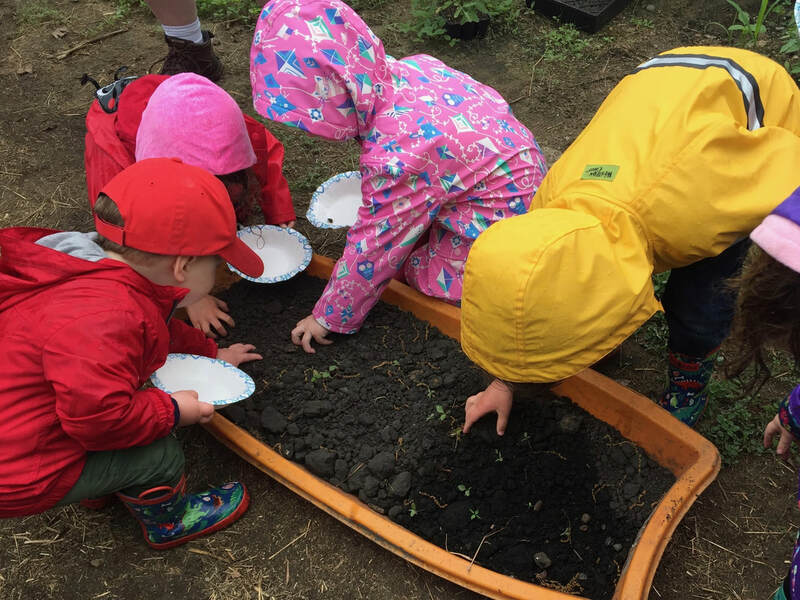 We are looking forward to making mud pies, creating mouse houses, caring for the animals, and building our farm community - we can’t wait to explore the farm and surrounding environment with your child!